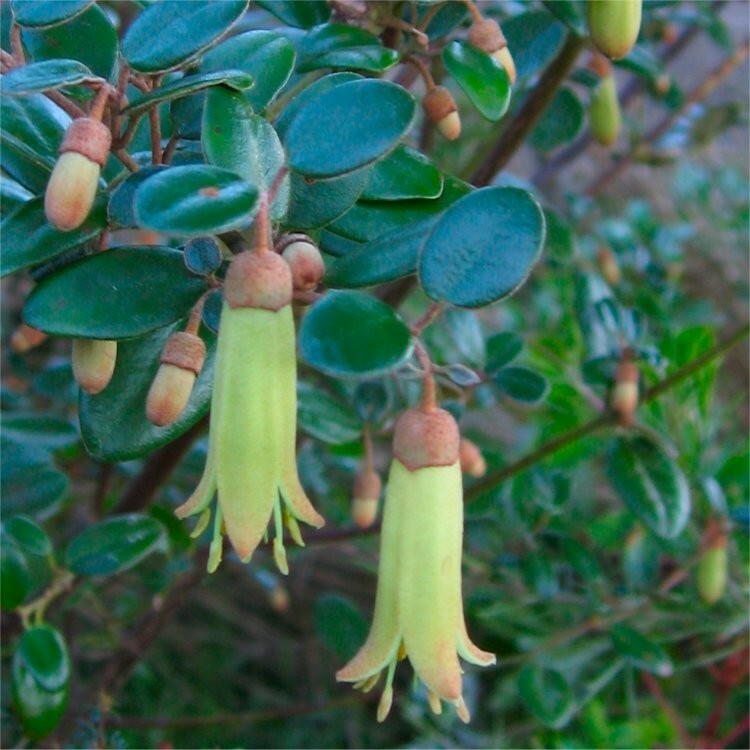 This Australian shrub, Correa backhouseana, is a charming flowering shrub also known as the Backhouse or Australian Fuchsia. A flowering coastal plant it has glossy dark green leaves with a silver-grey underside. The branches carry hanging bell-shaped pale yellow-green flowers making a beautiful site when if full flower. 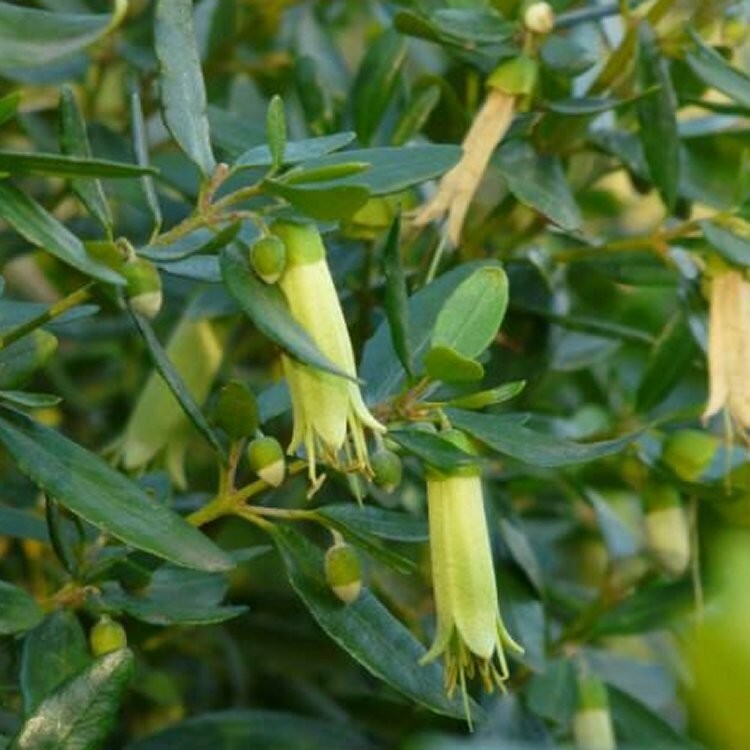 Compact growing, it is not directly related to the fuchsia, it is simply the similarity of the lime-yellow blooms that contrast the dark evergreen foliage that lends it the common name.